ARCHITECTURAL FOAM PRODUCTS CUTS SHAPES FROM RAW FOAM* USING A COMPUTERIZED HOT WIRE MACHINE. WE THEN ADHERE A REINFORCING FIBER GLASS MESH OVER THE ENTIRE SURFACE OF THE FOAM SHAPE, AND THEN SPREAD A BROWN COAT OF CEMENTITIONS MATERIAL EVENLY OVER THE ENTIRE SURFACE, PROVIDING A PROTECTIVE AND DURABLE BOND COAT READY FOR FINAL TEXTURING AFTER INSTALLATION. FAX US YOUR MOLDING DRAWING AND INCLUDE THE DESIRED SPECIFICATIONS AND DIMENSIONS. WE WILL THEN PROGRAM YOUR MOLDING PROFILE AND CONFIRM THAT THE FINAL DESIGN MEETS YOUR APPROVAL. 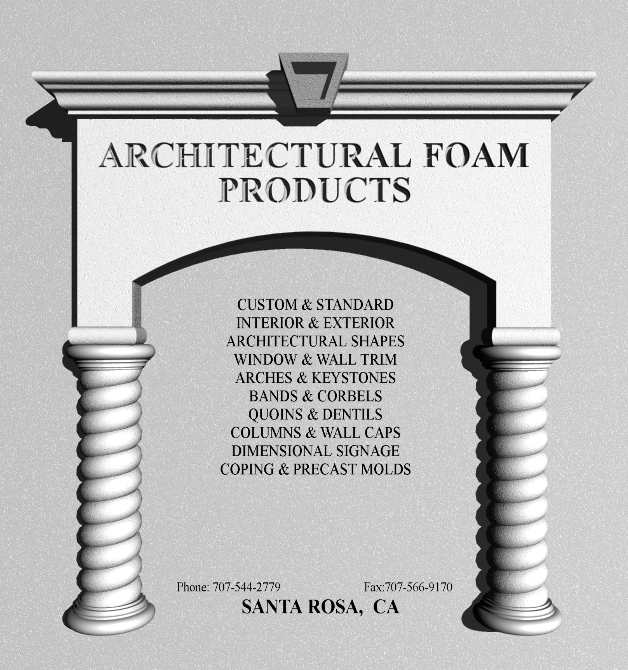 ARCHITECTURAL FOAM PRODUCTS PRODUCES A VERSATILE PRODUCT WITH MANY PRACTICAL APPLICATIONS. OUR MAIN GOAL IS TO PRODUCE A QUALITY PRODUCT WITH A REASONABLY FAST TURN AROUND, IDEAL FOR YOUR DECORATIVE AND ARCHITECTURAL NEEDS. * OUR SHAPES ARE CUT FROM EXPANDED POLYSTYRENE (EPS). EPS IS A CLOSED CELL PLASTIC FOAM COMPOSED OF HYDROGEN AND CARBON ATOMS. IT IS DERIVED FROM PETROLEUM AND NATURAL GAS BY-PRODUCTS. EPS SHAPES ARE LIGHTWEIGHT, DURABLE AND TEMPERATURE RESISTANT. 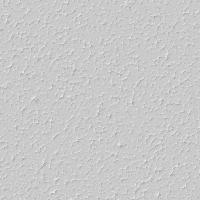 EPS FOAM WILL NOT ROT AND IS HIGHLY RESISTANT TO MILDEW. EPS IS SAFE FOR THE ENVIROMNENT. IT NEITHER CONTAINS NOR USES CHLOROFLUORCARBONS OR HYDRO CHLOROFLOURCARBONS IN THE MANUFACTURING PROCESS. EPS CAN BE AND IS RECYCLED INTO A VARIETY OF CONSUMER AND INDUSTRIAL PRODUCTS. EPS HAS “CLASS "A" FLAME SPREAD RATING” (25 OR LESS), AND A SMOKE DEVELOPED RATING OF 450 OR LESS. EPS FOAM IS ABLE TO WITHSTAND THE ABUSE OF TEMPURATURE CYCLING (FREEZE-THAW )WITHOUT LOSS OF STRUCTURAL INTEQRITY OR OTHER PHYSICAL PROPERTIES, ASSURING LONG TERM PERFORMANCE.